I am 19AT256 my name is Twan 52 years old and married to Maria 48 years old. We have two boys , Brian 26 years old and Maical 24 years old. I started radio in 1980 first only on FM with a Stabo XF2200 ,Turner plus three and a Avanti sigma 2 vertical antenna. 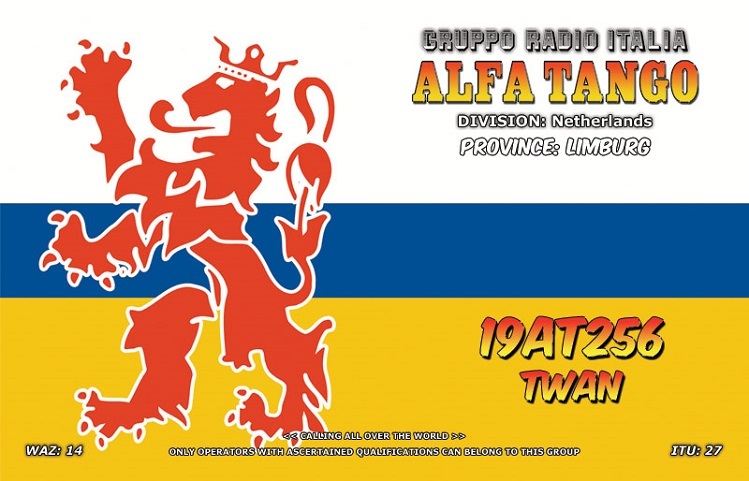 After some time I bought a Ham Multimode 2 and also a CTE speedy amplifier and started with DXing my first QSO was with 30 division Spain, in 1981 I joined the AT group as 19AT136 and was very active on the band till 1985 then I left the hobby. In 1993 I bought a president Lincoln and I started again with dxing, first with a vertical antenna, after some time I bought a 3 element Yagi and I was very active again, I joined the AT group again and used the call 19AT536.and afther some years I became 19AT056.I joined also other groups and a few of my call signs were 19OP272,19AC017,19BG036,19WW331,19SD102(19SD010),19AC152,Snowman #396, ,19DX056 and many more after some time I upgraded to a 4 element Yagi and my radio, microphone I use is a Heil HMM and Heil headset pro. 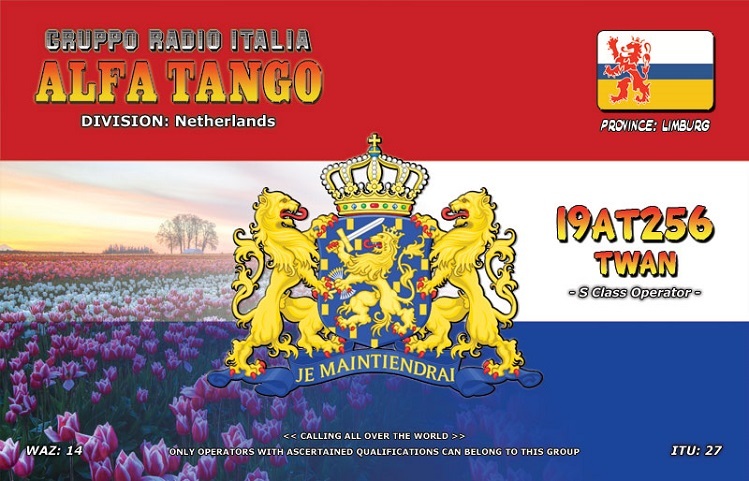 I collect DXCC's and islands from all over the world you can find here a part of my QSL collection ******** and I'm still working to put my complete collection online.